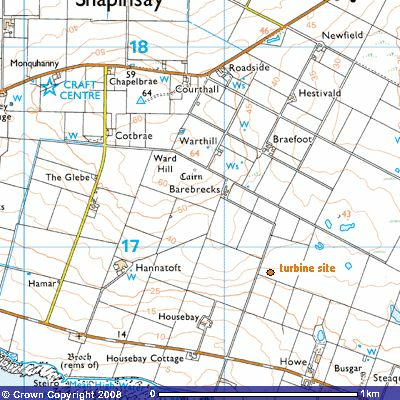 Shapinsay Renewables Ltd (SRL) is the trading company for the wind turbine and is wholly owned by Shapinsay Development Trust (SDT). SRL operates the turbine with the purpose of passing the profit generated to SDT for the benefit of the community of Shapinsay. The directors of SRL are appointed by the Board of SDT. The current directors are Sheila Garson, Steven Bews, George Muir and Graham Rendall. The directors are volunteers and therefore receive no payment for serving on the Board. The reason for this separate company is that it operates on a commercial basis. This allows it to make profit, be vat registered, and to account for it's trading activities wholly separately from SDT, which is a charity. Delivery of the Community Turbine is complete and the journey and pictures can be found on the SDT's Facebook Page. It is exciting to see work on the turbine getting under-way. As you'll see from the timetable in Aprils newsletter, there's a lot to do between now and 22nd August when the turbine is due to be commissioned. I'm sure many of you will be interested to see how the work develops, but please remember the compound, access road and actual turbine site will form a busy construction site. For your own safety we ask that you do not go onto the site while work is being carried out. After securing Planning permission and Lottery funding the project is well under way. Directors together with the newly formed Shapinsay Renewables Limited are working together to finalise details regarding finance and delivery of the turbine. Presently we are working to secure Noise assesment and anemomerty readings to comply with the Planning requirements. At the meeting of the Council's planning committee held on 5 November the Trust managed to secure a deferment of the decision on the application. The planning application process is well under way. The Environmental Impact Assessment which is necessary as part of the process can be viewed in the shop- many thanks to Neil and Sheena-, at the One Stop Shop in the Council Offices and at the libary. Parts of the assessment are also available here on the website in the folder named 'Wind turbine Environmental Impact Assessment' in the library page. 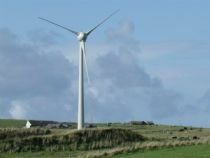 The Trust has been working together with other islands to propose a Community Owned Wind Turbine on Shapinsay. Together with HICEC (Highlands and Islands Community Energy Company) and Sam Harcus from the Westray Development Trust we have reached a stage where we need support from the community before we take the next steps towards funding and planning. A public meeting was held and all members of the community were invited to ask questions and air concerns regarding the Turbine. All residents over 16 were sent voting forms to indicate their votes. These voting slips were returned to Voluntary Action Orkney directly they agreed to count the slips and announce the result through Radio Orkney on Wednesday 27th February 2008. Number returned after deadline 20 (these are not included in the above numbers). The Trust wish to thank all at VAO for their help and assistance in this matter.